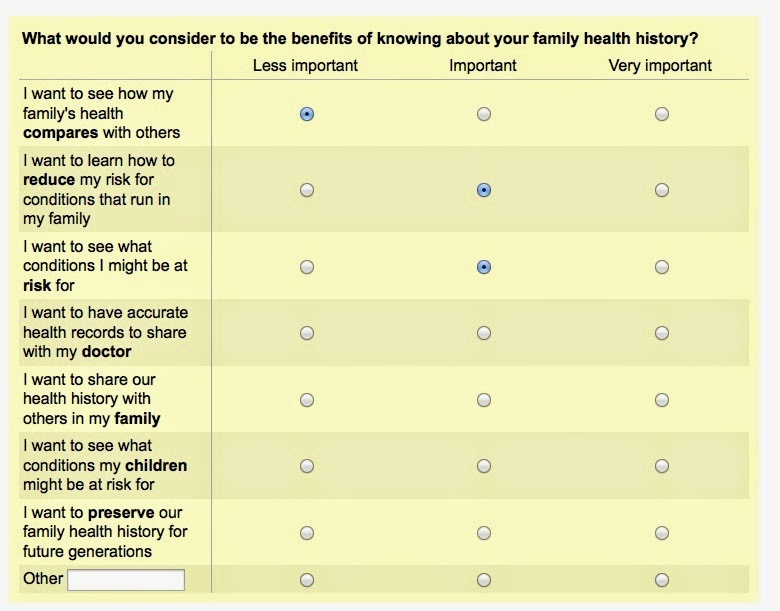 Your Genetic Genealogist: Is Ancestry.com Getting Into the Health Business? Hi CeCe I've been working in the pharmaceutical research industry for almost 20 years now and I've never heard of anyone using the Utah population/DNA study in their research. Is it being used in gene therapy research? The homepage for the UPDB says that they are currently sponsoring over 100 research projects. This is a link to a list of papers published from 2010 to present based on the UPDB http://healthcare.utah.edu/huntsmancancerinstitute/research/updb/publications/. Many of the papers relate to discoveries in cancer genetics, however, there are papers on linkage, autism, longevity, ethics and other topics. My point is that I don't think it's a big deal to participate. Most studies are done in vivo or in vitro in a controlled environment and published. These materials are what's used in the treatment of patients. 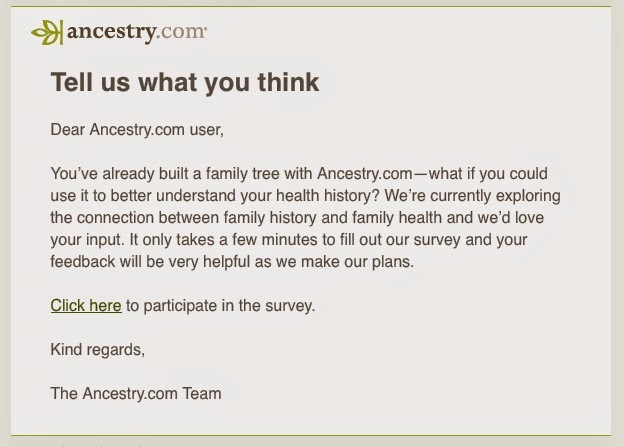 I first tested with Ancestry.com back in Feb. of 2002. They got the information they wanted and later dropped the program. Though I've submitted information, census indexing corrections, my family tree, etc. to Ancestry.com online, I cannot access my own family history because I can't afford their prices this year. Now I've read that they are dropping their "new" DNA research program, but they are still selling kits. 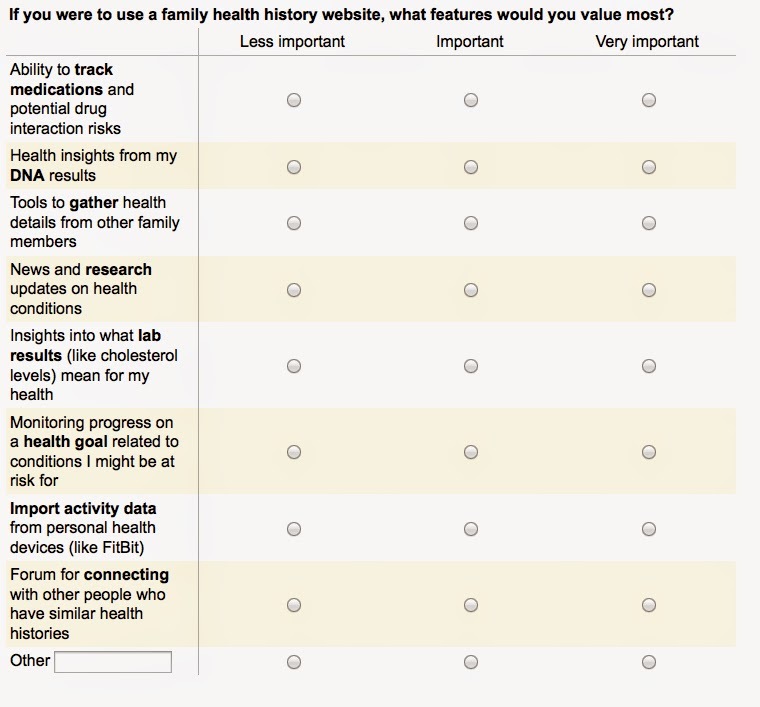 Why would anyone give them their family health history with their record? Once your information is submitted, you pay to see your own information. No thank you. I'll stay with FTDNA and 23andMe for my DNA research and testing. 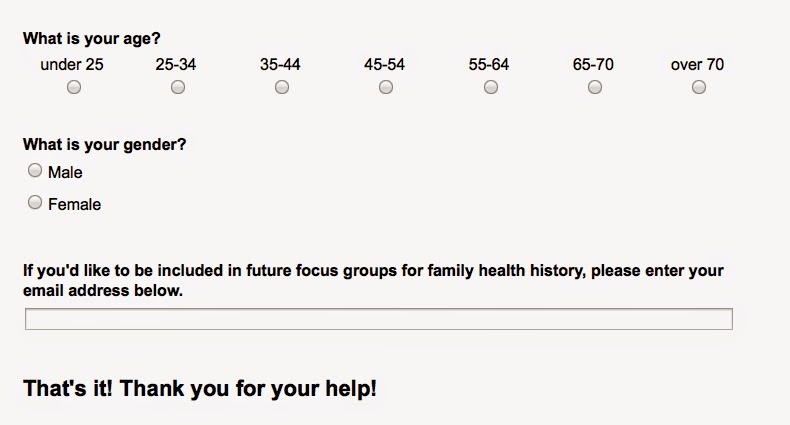 BTW, re this "survey" from Ancestry, yes it mentions the medical part, but mostly it is a marketing tool (this sort of thing develops a target market for future marketing efforts and will allow Ancestry to "focus" on their perceive "target market"). 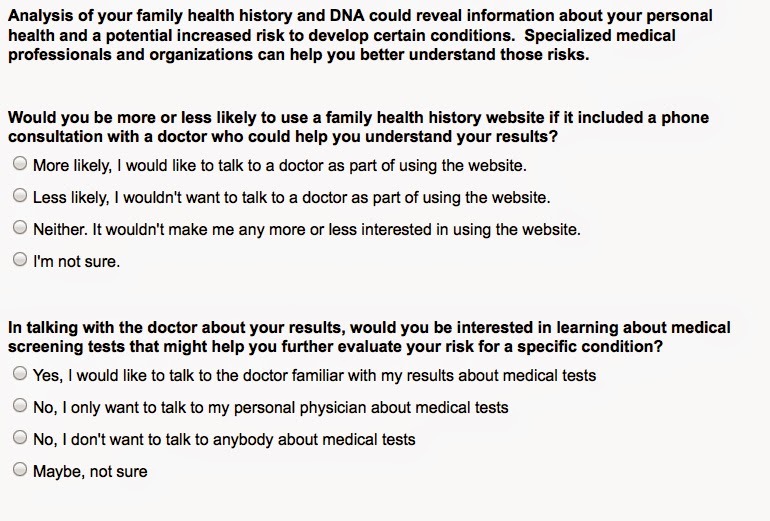 I wouldn't trust AncestryDNA with health information. They've done poorly enough with the science of genetic genealogy. 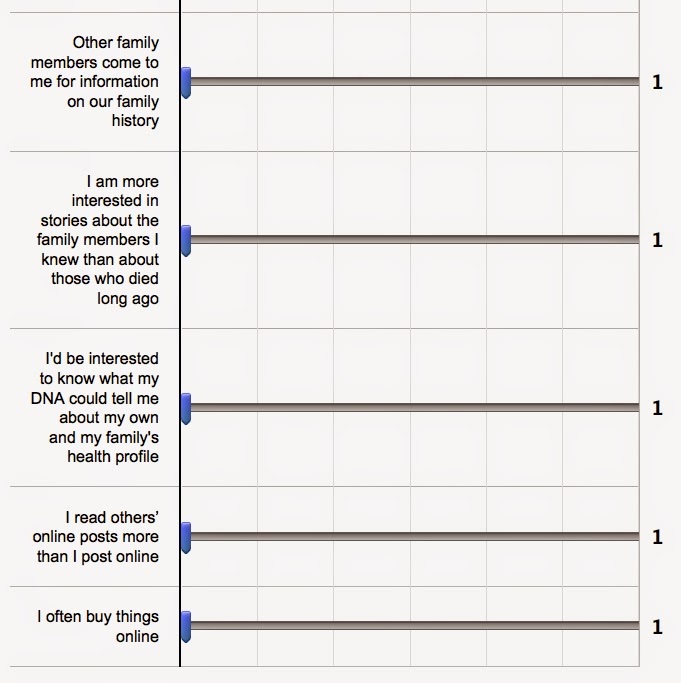 The way they lead their customers to draw false conclusions about their DNA results is turning genetic genealogy into a pseudoscience for some people. 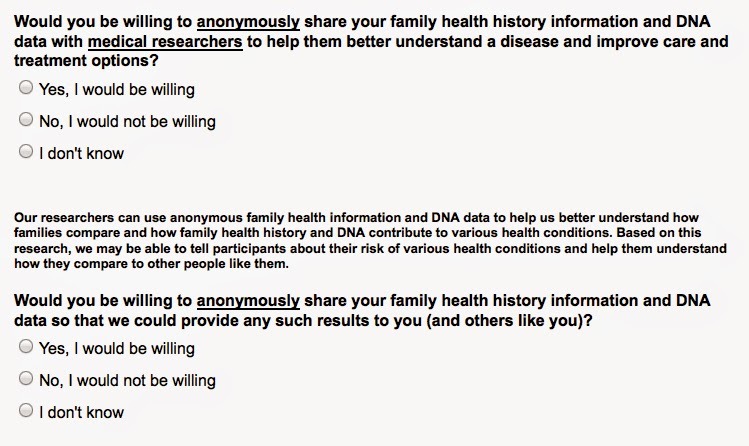 Genetic health science is even trickier than genealogy -- and it requires a level of transparency that AncestryDNA has been reluctant to deliver. The fact that they were recently crippled by hackers doesn't inspire a lot of confidence either. 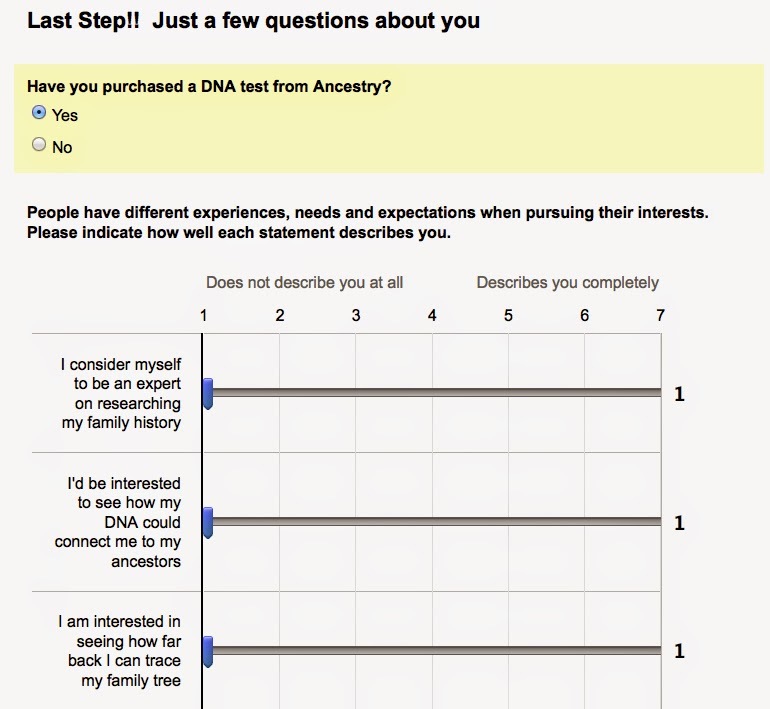 Ancestry should address the concerns relating to their current products before moving on to new horizons.